Today’s episode is sponsored by University of California, Irvine’s Division of Continuing Education. Spring quarter is coming up and registration is open! Today’s episode is also sponsored by Hopster, an award-winning learning and entertainment app for kids ages 2-6. For great deals from both sponsors, tune into our episode! Getting healthy dinners on the table takes energy and time, two things often in short supply. What do you do when you find yourself rooting around the kitchen at 6pm with slim pickings in the fridge and zero cooking inspiration? 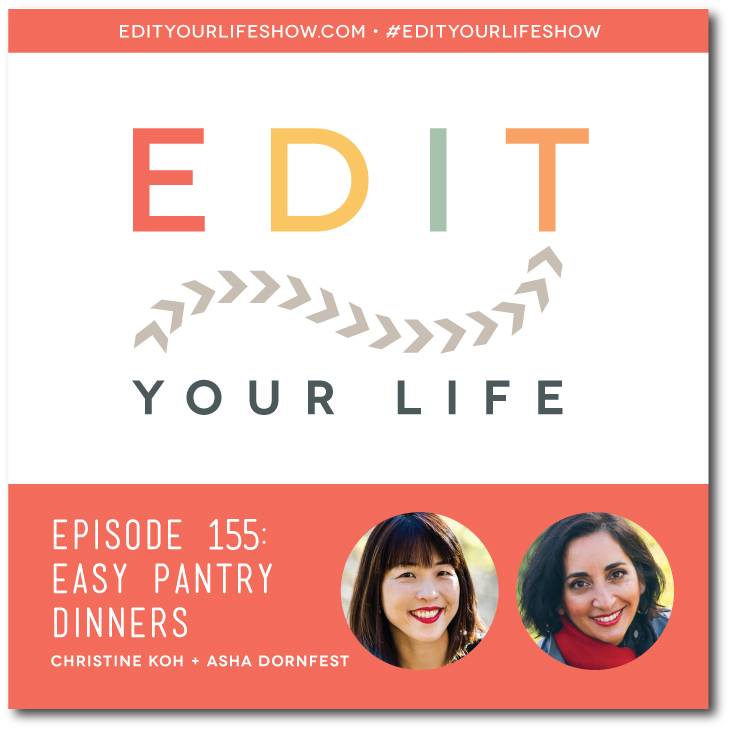 In Episode 155 of the Edit Your Life podcast, Asha and I share our favorite easy pantry dinners -- meals that come together using ingredients from your pantry and freezer. We share ideas for simple, nourishing meals you can throw together at the end of a busy day without having to make an emergency run to the grocery store. What are your go-to pantry- and freezer staples? Join the discussion on the Edit Your Life Facebook page -- look for the Question Of The Week post pinned to the top of the page.